Thank you for the free reward points. Too bad I can’t use them because my guild shop is sold out of everything I’m eligible to buy. The free gas and double XP is a much better option. 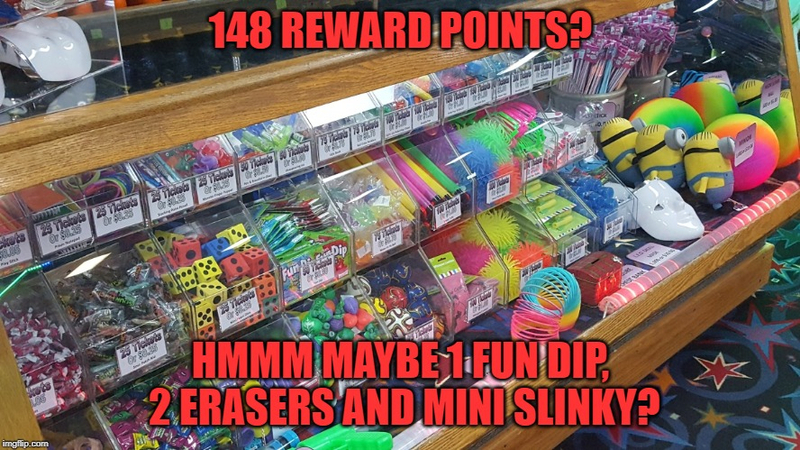 Maybe if my keys hadn’t of disappeared I might have enough points to buy other things. It was a nice gesture. I was hoping for some Rick tokens but between possible lost points, buggy wars and guild members tired of it all and not playing we fell short of that tier. So have to go with Jesus and move on. I have the same issue with my alt as does everyone in my second guild. I have 1003 RPs that will go to waste. 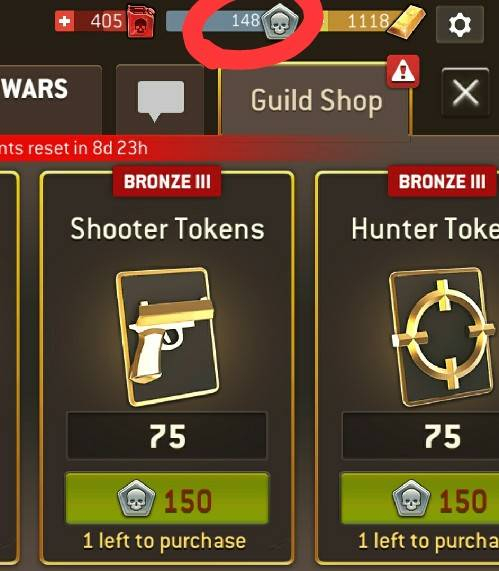 I contacted support and they were like :Oh thanks for your suggestion, we appreciate your opinion BUT....We’re not adding anything to the guild shop. Why would the Dev team NOT realize this would be an issue? Why would they giveaway MORE RPs that a certain percentage of players would be UNABLE to use? JFHC. If you have that many RP left then you did not plan appropriately and it's nobody's fault but your own. 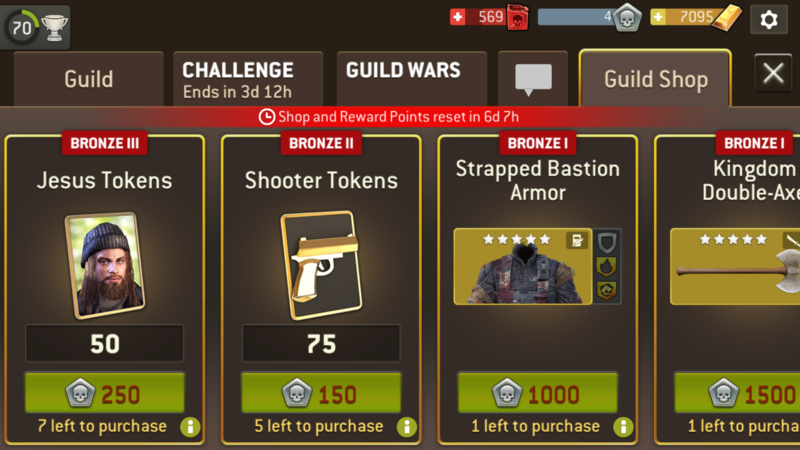 There are several items that restock every War, several that refresh every tier increase and plenty of tokens to get with your RP. Getting something with the RP is much better than letting 1000 RP go to waste. f you say that you were saving them for the RPG or another high cost item and were unable to unlock that tier it just proves my point about not being able to plan ahead since you should have known by week 2 or 3 that it wouldn't be likely and you should have spent your RP instead of hoarding it. Don't be so careless next time. Notice all of the RP I have left. The items restock, whether you buy them or not - the amount just increases. If you could buy 5 and 2 get added, you'll see 7. If you bought the 5 already and there is a restock, you will see 2. Same amount in the end, so you can wait until after the last battle to buy stuff and it wouldn't change a thing. I feel it would be nice to have one item that has no limit in buying. Normal class tokens, maybe? And if someone wants to spend all their RP on those class tokens, why not? What to do with these points?